Just because you have a modern door or a 5 point locking mechanism does not mean your door is secure. In fact your door can be broken into with just the basic of tools within a 50 seconds quite easily. Having good door security is not just about having kite marked locks or about being compliant to british standards. In fact a so called high security cylinder that is bump, pick and drill resistant is a doddle to get past. I mean what burglar is going to drill your lock or have the exact key blank to bump your locks. Why would they bother when all they have to do is force back your door handles and snap your lock. Your 5 point door security locking mechanism then becomes a one lever lock no better than a one lever latch fitted to a garden gate. There's 2 ways to get better door security. The first is by changing your locks and fitting snap resistant locks. You could fit snap safe locks like the ABS or Ultion but if a burglar then tries to get in and is foiled you then have to buy new locks. An expense best avoided. Snap resistant locks don't have snap profiles and the length of the lock is rienforced by a hardened bar. So no need to change your locks. The other option is secured by design security door handles. 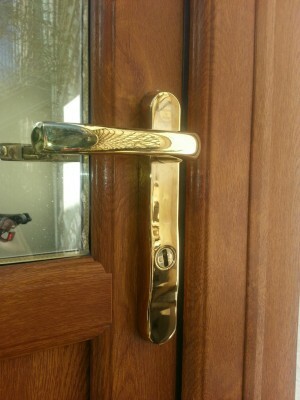 You could fit these handles with a standard 6 pin lock and your door security would instantly improve by at least 60%. Or a combination of the 2. High security door handles and a snap resistant locking cylinder. Snap resistant door locking cylinders do not need to be expensive. Affordable locksmith can supply and fit snap resistant door locks from £50 all inclusive for one and £80 for 2. For more information please feel free to contact me, ask for Steve on 07712445612 or visit my website A.L.S. Locksmiths.